So why respond like there is? 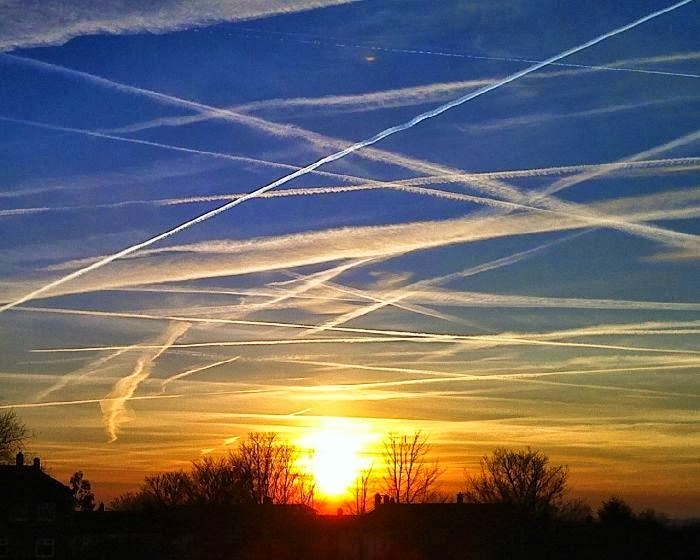 Those who deny the existence of chemtrails are either willfully ignorant or dangerously arrogant, or both; therefore, why bother debating with them? Of course, there are those who run Facebook pages who are paid government agents or corporate shills with a vested interest in the multi-billion dollar global chemtrail program. Then there are the simple folks who refuse to believe because of a bad case of lifelong cognitive dissonance, or an unshakable faith in trustworthy government, or a serial neglect of skywatching (as in never looking up at the sky). Lastly, there are the legions of scientists and academics, researchers and writers, from whom the faculty of human reason has completely fled. These pseudo-scientists are not only devoid of common sense; they lack the ability to apply objective and unbiased critical thinking. For many of these lost causes, years of university study have force-fed them incorrect science theories, taught them flawed scientific methodology and encouraged their blind allegiance to defective scientific paradigms. These ‘hard science’ PhD types have often been exposed to years of intense and purposeful indoctrination. Erroneous information and incomplete knowledge, that is incessantly reinforced by professors and reference books alike, ensures that they will never leave such an intellectually-challenged reservation. They also know quite well who funds their various grants and scholarships, and how not to put them in jeopardy. Furthermore, the relentless doctoral conditioning and/or post-doctoral brainwashing virtually guarantees that they will always side with the “system”. As a matter of fact, they are programmed to see only see what the “system” tells them what they see. Conversely, they publish in the peer-reviewed journals only what their editors and peers permit them to write. Likewise, any and all TV and radio interviews contain content that has been thoroughly vetted by their government sponsors, academic mentors and/or corporate overlords. In these and other ways, it becomes perfectly understood that, if these PhD scientists want to keep their tenured positions and/or department chairmanships, as well as remain in their lucrative corporate consultancies, they will NEVER stray from the prescribed narrative. Should anyone ever decide to leave this particular reservation, especially where it concerns such a multi-purposeful, global sky-spraying program like chemtrails, the consequences would be quite severe. No one is ever allowed to use their position of authority or lofty platform to espouse anything but the official government line. To do so would effectively translate to an immediate suspension of one’s leadership positions and job title, as well as forfeiture of their compensation package and benefits, grants and stipends, and any other perquisites derived from their loyalty to the chemtrail cause. Now that we know the ground rules by which the naysayers play, it’s much easier to understand the many irrational, unreasonable and ridiculous responses provided by officialdom. All of the key policy makers, enforcers and their spokespeople are locked up in a gilded cage, wearing golden handcuffs, and furnished with golden parachutes. How could they possibly give all that up, particularly in the face of the harsh realities which would follow any departure from the official narrative? Which begs the question: Why would anyone ever bother to debate the existence of chemtrails with the aforementioned parties? Given their obvious lack of commitment to the truth, and multiple incentives to support the prevailing illusion, what would be the point? How can the self-deceived ever be expected to disseminate the facts about geoengineering, chemtrails and related matters? Which begs a much more important question! 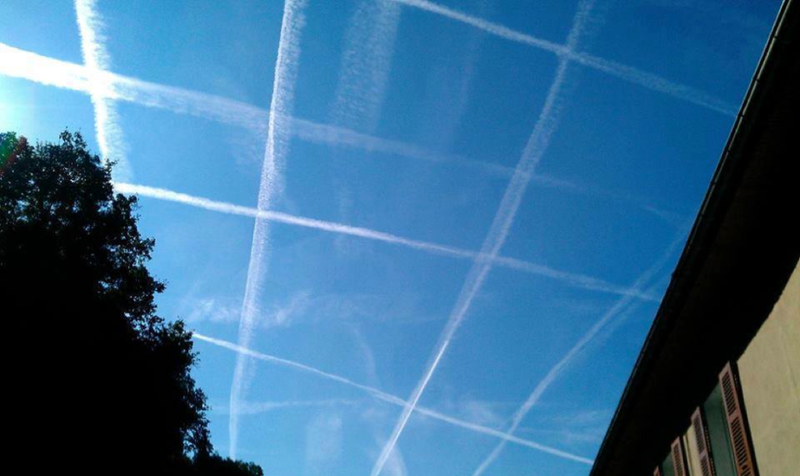 When the urgency to terminate chemtrail spraying has become so urgent, is it advisable for the chemtrail truth movement to waste time and energy, money and resources, trying to change minds which are incapable of being changed? Most of the chemtrail deniers are hopelessly incorrigible, as was just pointed out. They don’t want to know the truth or hear the truth or speak the truth. On the contrary, they are determined (and sometimes paid) to spend their time undermining the truth movement however possible. Since many are literally programmed to obfuscate and dissemble around all matters related to chemtrails, why given them attention? There has been an explosion of high integrity media material available to truth seekers everywhere regarding the ongoing geoengineering disaster and chemtrail catastrophe. The number of videos and radio archives, articles and essays are now seemingly countless. Perhaps the best use of our time is to efficiently disseminate the evidence and testimony to those who do not yet know about the relentless chemtrail assaults. This would seems to be a much better use of our limited time and resources. With each new supporter of this cause, there is the increasing likelihood that the critical mass of individuals is soon reached necessary to produce the necessary change. All most people want, who are aware of these chemical assaults, is the immediate cessation of the chemtrail-spraying of the skies throughout the world. That is a very simple demand that can be complied with by those who illegally obey orders to spray the blue skies. Such a request should be very easy to understand for the real decision-makers as well. After all, their families and friends are exposed to the very same chemical cocktails as the next guy or gal, as they themselves are. Can they be that obtuse that they are okay with such regular, aerosolized chemical invasions from above? As more individuals become aware of the adverse health effects from the unrelenting chemtrail-spraying, the day will surely come when these harmful programs will be shut down. The following article presents the many illnesses and symptoms associated with the chemtrail poisoning of our skies. The many correlations made in the following essay are so compelling that many individuals have taken up the anti-chemtrail torch after they understood the potential impacts on their health. Inarguably, every resident of Planet Earth is a victim of chemtrail toxicities wherever they are sprayed. For those few places that are not sprayed, there are still extremely destructive weather patterns that geoengineering has created to contend with, which even those inhabitants of the planet cannot avoid. These climate patterns are highly unpredictable and producing devastating weather events everywhere. Therefore, it can be said that ultimately every human being ought to be a passionate stakeholder in both clean skies and unobstructed sunlight. If not for themselves, at least for future generations should everyone rally around this Cause of the Millennium! Does anyone know anybody who has not been significantly affected by the new normal in local weather patterns? Perhaps as these highly destructive weather events continue to intensify, more folks will look up to the skies and begin to question just what it is that is causing the meteorological mayhem. Likewise, as more individuals become aware of the adverse health effects from the unrelenting chemtrail-spraying, the day will surely come to terminate these harmful programs. When the people have had no say about the chemtrails overhead, they will realize that there are certain reasons why they have not been told about these clandestine operations. The list of ingredients in a typical chemtrail cocktail will reveal some of those reasons. When this information becomes common knowledge, those in government who unlawfully foisted them on the nation will be held accountable. Lastly, it is important to note that CHEMTRAILS are quite obviously not contrails (See photo above). So why waste precious time and energy debating with those who are clueless? It is much better to spread the message to those with an open mind and who care about the welfare of their family and friends. There are also many who have a genuine concern for the well-being of Planet Earth who would want to know about the illicit geoengineering going on everywhere. 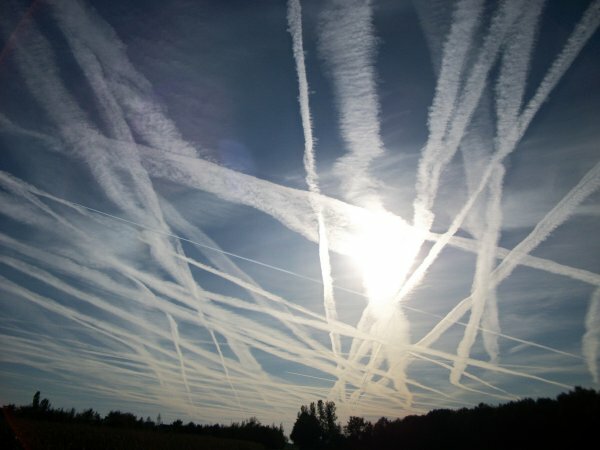 These are just a few of the articles which shed light on the ongoing chemtrail conspiracy, which ought to galvanize anyone not yet initiated. Their are many other resources included below which will serve to further educate and enlighten anyone looking to comprehend the enormity of and true purposes behind this furtive government-coordinated program.